Printed on Rives Lightweight. Bound in paper (Rives BFK grey, Canson red and blue) wrapped around conservation board, with deep blue decorative oriental end sheets. All processes executed by the artist. 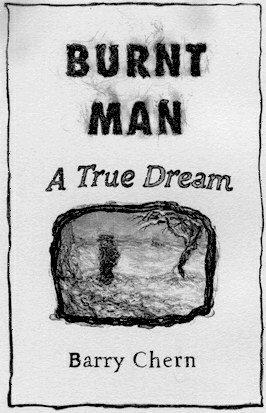 Part One of the story (pages three through the centerfold) is now complete online. 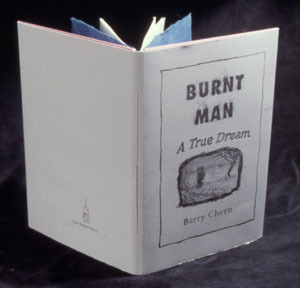 Same file size, but cropped, without the word "Burnt"
Just the drawing and "A True Dream". Finally, most of the lines are there. This still leaves you many megs short of an image with the amazing fine grain of the originals, but gets you close enough to get a hint.